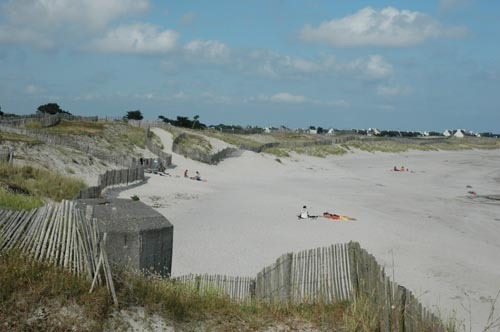 A nice small resistance nest, Qu 49, lies east of Lesconil at Plage de Kersouz. Defended on the landside by a Tobruk and on the seafront by a Tobruk and a 667. A crew bunker type 501 lies in between.